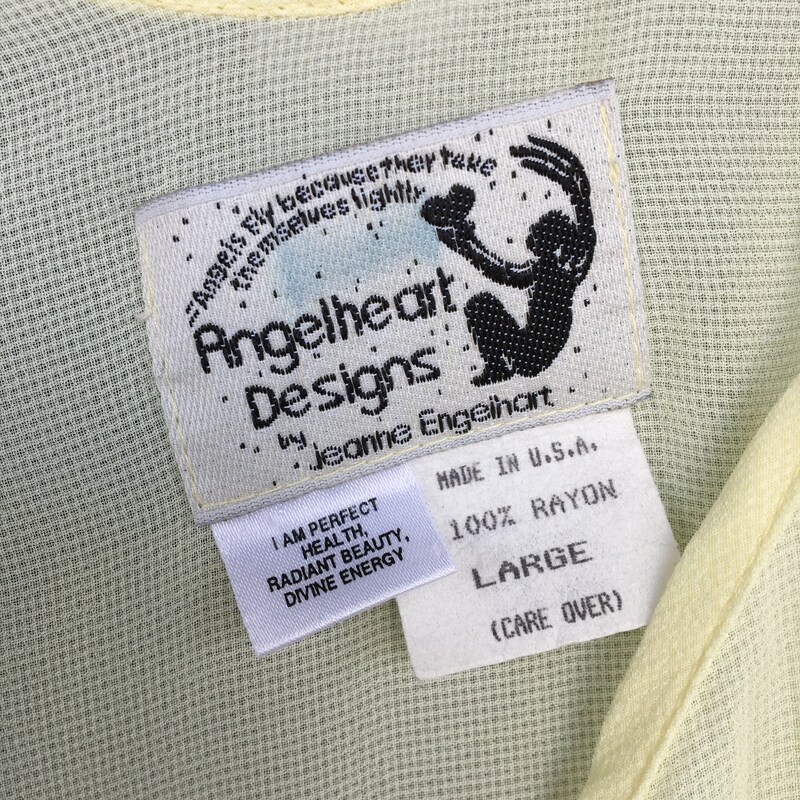 Angelheart Designs clothing originated in Ithaca NY in the mid-1980s. 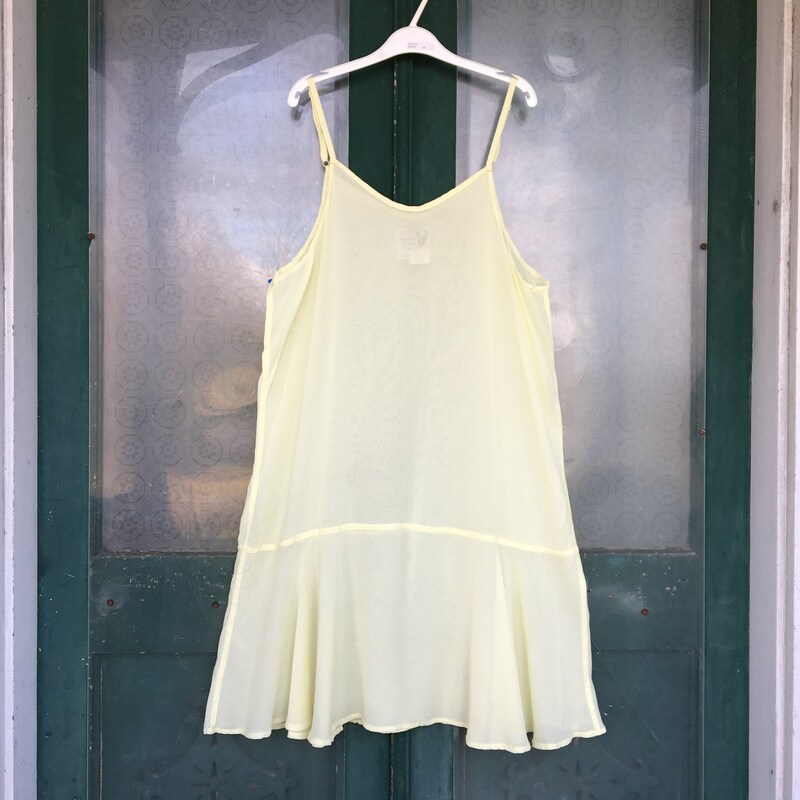 Twin sisters Jeanne and Ginny started making funky, comfy clothing on their mom's treadle sewing machine. The early pieces (pre-1992) are identifiable by their label and styles. 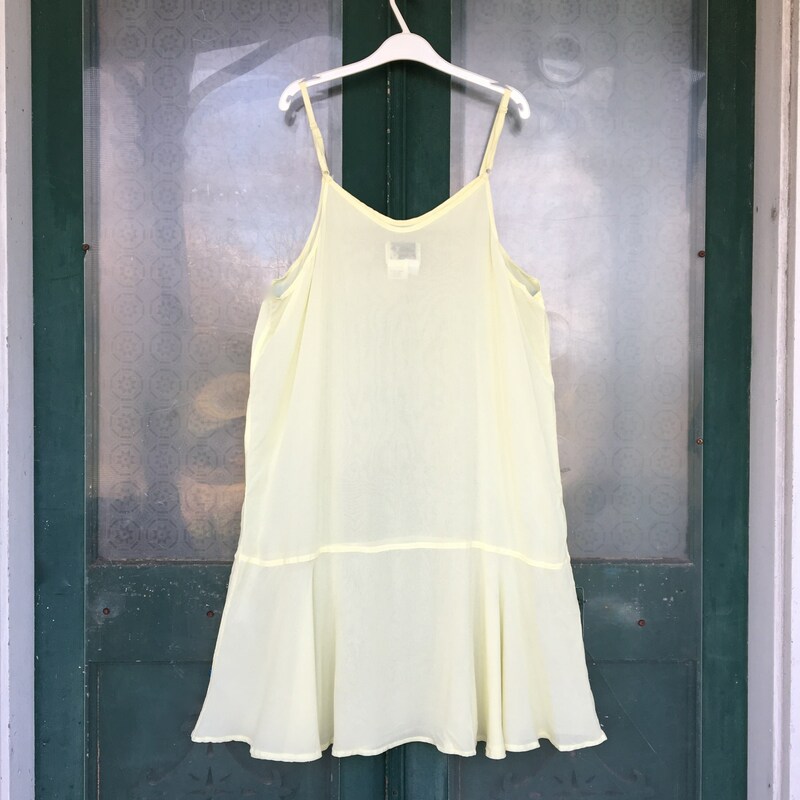 The early pieces were sold at the Ithaca Farmers Market and at Angelheart retail stores in NYC and Ithaca. This 1992 dress expertly sewn with flat-felled seams in Ithaca.